For people struggling with any kind of addiction, staying sober is pretty hard. This is where relapse prevention strategies may come in handy. Drug addiction relapse prevention can be done by creating a plan or worksheet to help you stick to your desire for better life. Once sober, evaluate your history of addiction. The planning of your addiction relapse prevention strategy will work only if you are sober and in mental control. Think about a specific time when you wanted to use, or consider some people or other factors during this period of time. If this is not your first relapse, think why. Identify signs that lead to relapse and prepare a separate action plan. In this part of the drug addiction relapse prevention stage, think of a full list of scenarios potentially leading to relapse and write down things to do instead. If, for example, you feel weak and you need to use, go to a support meeting or call someone right away. Make sure to be as specific as possible. Consider an agenda in case you relapse or come too close. Consider your first to-call person and questions to ask them. If you need to, add a second trip to rehab. Talk to everyone included in your plan and ask for support. The more specific your addiction relapse prevention worksheet is, the better. Think of all people, places and things that may lead you to potential relapse. Basically, in this part write down everything that may push you to use again. Use questions like: What kind of thoughts could make me relapse? Who and what place may contribute to relapse? What to do if I face a trigger I cannot avoid? Make sure to expect a craving and write down another option or activity instead. Consider keeping a diary or exercising. Practice damage control. The drug addiction relapse prevention plan should include a way to repair all the damage you’ve done to the loved ones. Working on issues as relationships, education and some financial problems can help you in the struggle to remain sober and make positive changes. Writing down these things is an important part of the addiction relapse prevention strategy. Most of all, don’t be too self-critical and remember that the first version of your addiction relapse prevention plan will change over time. Need help staying sober? Let us help you. 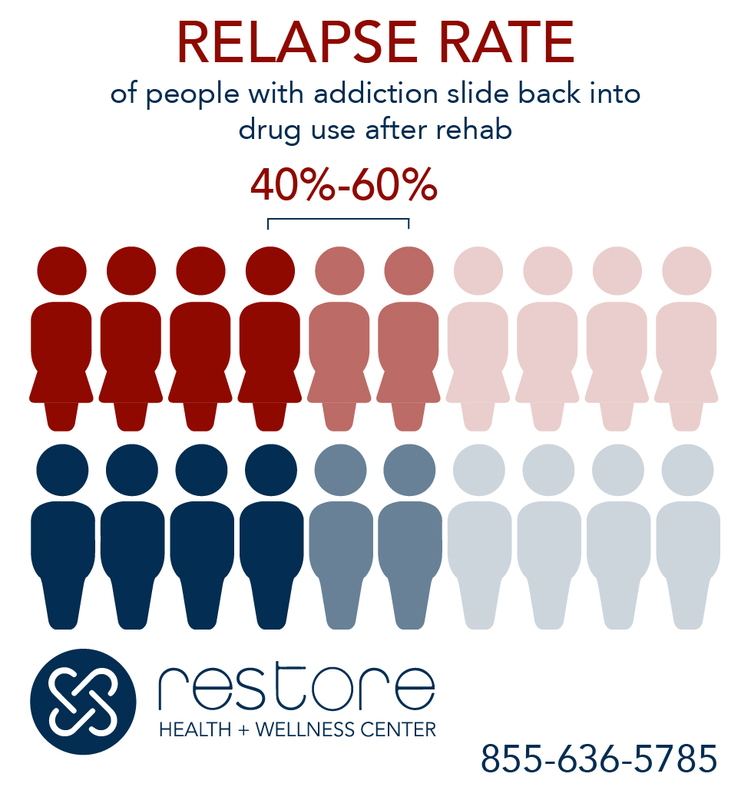 Reach out to the addiction specialists at Restore Health and Wellness Center at (888) 979-4570.